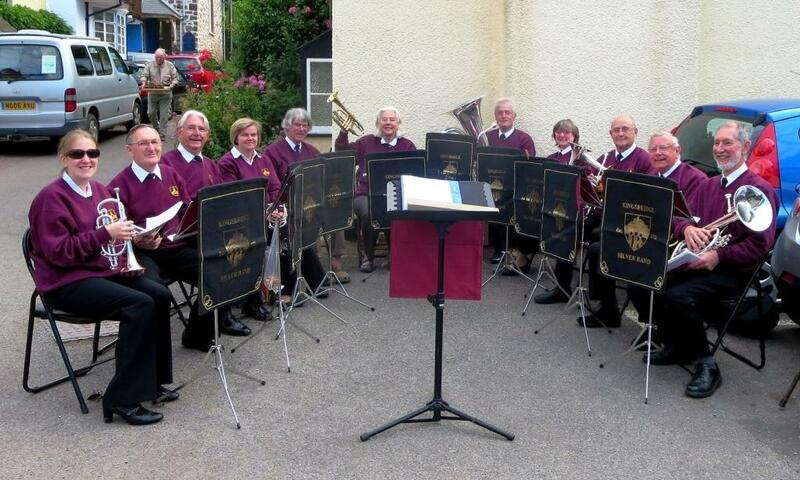 Kingsbridge Silver Band was founded in 1921 and has been in existence and playing continuously since then. 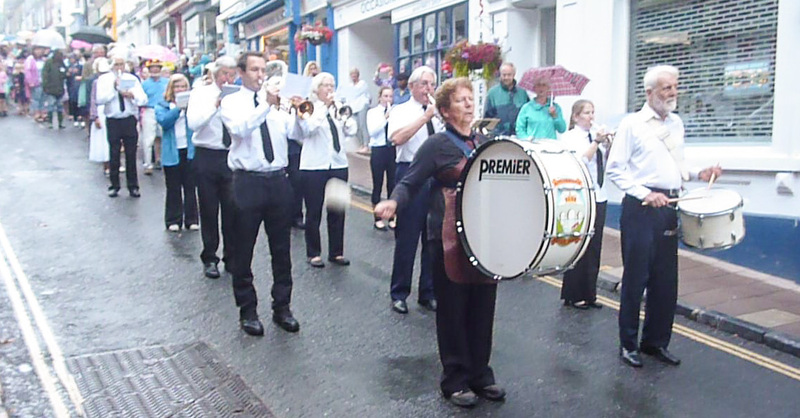 This makes it one of the longest established bands in the country and means that we are always looking for new members of any age or ability to keep this fine tradition going. 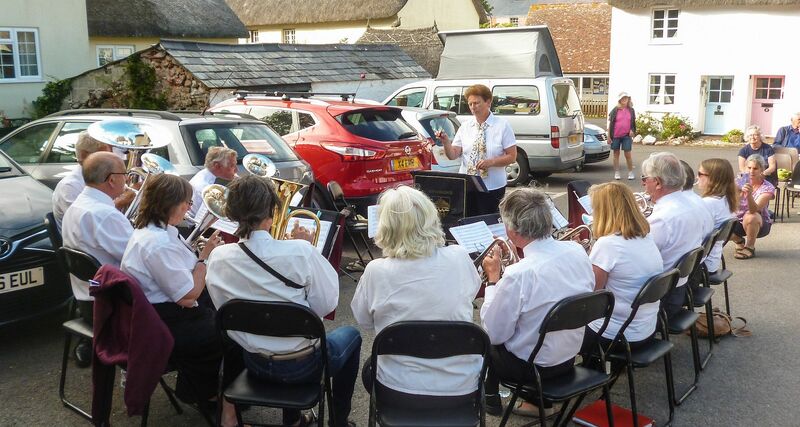 We meet on Tuesday evenings in the band hut just to the left of Tesco in Kingsbridge. Please contact me if you would like to know more. There are lots of pictures of the band on Facebook. 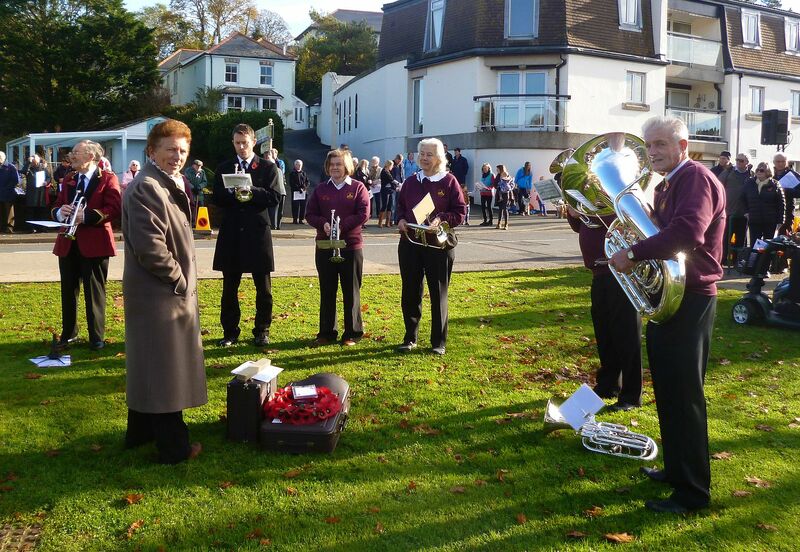 The Silver Band does a number of carol engagements at Christmas and plays each year for the floral dance during Kingsbridge Fair week in July; a summer open-air service at in the little square outside Hope Cove Methodist Church; occasionally for Kingsbridge British Legion and in the bandstand at Kingsbridge; and at Kingsbridge’s Remembrance Sunday ceremony each November. The concerts dates for the summer of 2019 have now been announced: click here to see. In 2017 the weather for the Hope Cove open-air service on 16 July was fine and sunny. 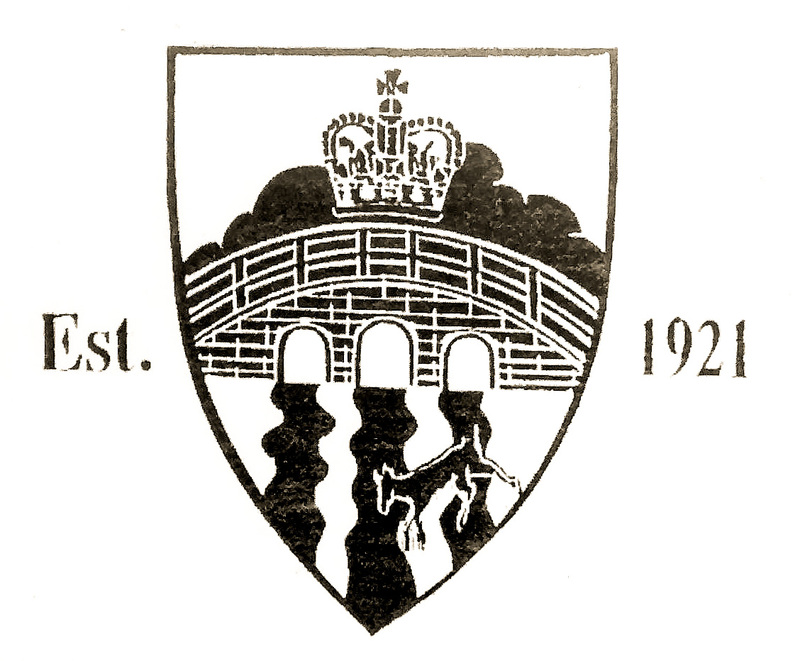 However the floral dance at Kingsbridge on 19 July 2017 was wet wet wet – but the band played on, as you can see from this link to the Kingsbridge Gazette. And there’s another (exclusive!) video here.